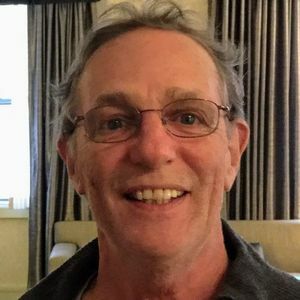 Michael David "Mic" Kirsh, of Galion, Ohio, beloved husband, father, grandfather, brother, uncle, and friend, died peacefully at home on Friday, April 12, 2019 at the young age of 67. Mic is survived by his loving wife Cynthia Cellar Kirsh (nee Tucker); his daughters, Kathleen "Katie" Kirsh, and Amanda and Paul Dorio; his step-son Brandon Cellar; his grandchildren, Fiona and Thor Torok, and Isaac, Adam, and Ava Dorio; his siblings, Larry Kirsh (Marilyn), Thomas Kirsh (Andrea), Cynthia Grauduss (John), Deborah Johnson (Bill), and Tina Hill (David), and numerous nieces and nephews who he loved dearly. Mic was preceded in death by his parents, William F. Kirsh and Kathleen C. (nee Vessels) Kirsh, and brothers Fritz Kirsh and Bill Kirsh (Bonnie Kirsh, living). Mic was a man who all might strive to emulate: kind, considerate, loving and caring, in whose eyes everyone was equal. An outdoorsman and adventurer extraordinaire, Mic went on many fishing and canoe trips, ventured to numerous National Parks, traveled cross-country with friends, and even attended Burning Man in the Black Rock Desert. Mic was a creative spirit, always thinking outside the box. His wide range of talents and interests included woodworking, carving, cabinet-making, building, music, and cooking. He filled his home and property with his unique creations and loved to share them with others. His craftsmanship and attention to detail served him well in his career as a journeyman pattern maker. He retired after 24 years with General Motors in Ontario, Ohio, after working in smaller shops earlier in his career. He valued hard work, and advocated for fairness in the workplace. More than anything, Mic was devoted to his family and friends. He had a big heart and witty sense of humor. If you had a friend in Mic, you had a friend for life. Always one to root for the underdog, Mic taught his children and grandchildren the value of caring for your neighbors and the environment. Mic is forever loved by all who knew him. He has made that special lasting mark on everyone he touched. His light and energy now surrounds us. In keeping with Mic's wishes, an event celebrating his life will be held at a later date and will be announced. And in place of flowers, please remember the good times and help the underdog, your neighbor, or anyone in need. Add your thoughts, prayers or a condolence to Michael's guestbook. Thank you for your support during this difficult time. Please enhance this tribute to Mic Kirsh by adding your memories and photos.